Greenhouse farming plan: Greenhouse production is often perceived as an artificial process, characterised by low nutritional quality of the final product and the heavy use of chemical inputs. Moreover, large areas covered with greenhouses create a big visual impact. In contrast, open-field cultivation is perceived as an ‘eco-friendly’ activity, and one that has a much smaller visual impact. Growing under greenhouse conditions, instead of an open field, can enhance quality, quadruple production and enable growers cultivate their crop over a longer window of time. When carried out correctly, it can significantly increase yields over what is possible under open field production. For example, greenhouse tomato yields four to five times more than openfield. With a greenhouse, many different techniques can be used to keep temperatures stable, causing less stress to the plants and promoting strong growth much earlier in the year. Some popular techniques involve creating thermal solar mass by using natural materials that readily absorb, store and release thermal heat, and using man-made heaters and heating fans. Expand the variety among your produce by using greenhouse. As vegetables come in and out of season, prices fluctuate accordingly based on availability, demand, and production methods among many others. Investing in a greenhouse gives your operation the opportunity to provide a variety of different produce on the “off season” creating greater availability for your customers in times of low supply and having the ability to grow new produce or flowers that do not typically thrive in your climate. Crops from green houses are protected from pests, diseases and other hazards in the open field. The closed nature of the greenhouses reduces the risks of soil borne tomato diseases. For instance, diseases spread when wet soil is splashed onto tomato leaves while it rains (or when using overhead irrigation systems). By use of drip irrigation, the amount of moisture on the tomato leaves, further reducing the risk of fungal tomato diseases that thrive on wet foliage. Pest control is also easier in a greenhouse than with outdoors tomato farming. Birds are a huge nuisance for outdoor tomato farmers this can be minimised through adoption greenhouse. Minimum water wastage is another advantage of greenhouse. Drip irrigation systems that are mostly preferred in greenhouses have no surface run-off since the water is delivered directly to the root area of the plants. Water is distributed uniformly, which prevents clogging. 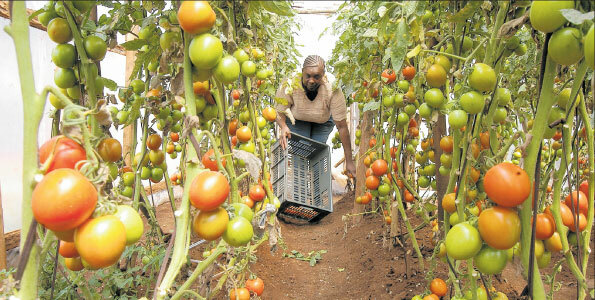 Management of weeds in the greenhouse is easier, tomatoes grown in small scale greenhouses consume less space but produce more fruits per acre. The planting of tomatoes in a concentrated space makes weeding easier. Moreover, use of drip irrigation denies weeds the water they need to thrive. Good space utilisation in small scale greenhouse farming means there is less distance to cover when tending to your tomatoes. Tomatoes need staking to support the weight of the fruits and to grow upright. It is easier to stake your tomatoes withgreenhouse. Stealing of farm produce is a big problem in most regions in Kenya and that can be minimised by use of greenhouse. Would-be thieves cannot know when the tomatoes are ripe and ready for harvesting. The need for pesticides is thus reduced, which lowers costs and risk of harmful residues on the crop. As a result of this, higher quality produce is possible. For consistent quality, good agricultural practices such as optimal plant population, irrigation, plant nutrition and vigilant crop protection (must still be maintained). Tomatoes grown in the open field are exposed to all insects and diseases in the open environment. Greenhouses are covered with mesh screen to keep most of these pests and diseases they carry, away. However, strict monitoring for breaks in the mesh and proper use of entrance doors, is necessary. The plastic roofing materials also reduce the level of some diseases, by controlling the type of light entering the house. 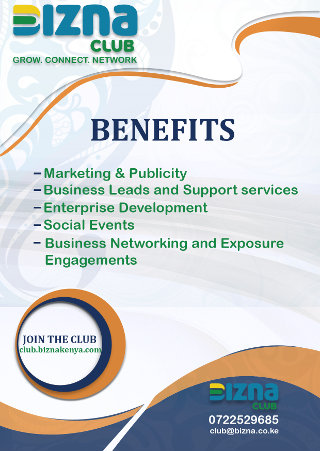 Notwithstanding these huge benefits, several challenges exist. Ecological, physical and socio-economic conditions call for modifications to this introduced technology. For example, some regions of the country experience higher temperatures. This poses challenges for more appropriate design and construction to reduce heat buildup. High upfront and operating expenses. In order to utilise a greenhouse to the best of its ability, you’ll need to invest in a kit or supplies that will have a good lifespan and proper characteristics for the plants you want to grow. For example, cheaper film plastics may provide sufficient conditions to retain heat, but more expensive glass windows will last longer and may help ventilate the greenhouse if able to be opened. With maximum climate control, comes the potential for a high operating cost. If you choose to heat your greenhouse via electronic heaters or by way of gas, you’ll see a serious increase in your monthly bills. Troublesome pests and lack of pollination. While having a greenhouse can help you control most of what your plants come in contact with, one or two plants carrying pests like white flies or other diseases can quickly spread to the rest of your plants, sabotaging your entire crop. Careful precautions must be taken to eliminate any pests or diseases to make sure your next crop won’t be affected.